One of my favorite things to do is to travel. I may not have been across the world and back but I do try to go out and experience new things as often as I can. No matter how far, whether it is the next city or half way across the world, take a step out of your comfort zone and follow this #QOTD.. I truly believe that to travel is to live. There are so many great opportunities and beautiful things to see. 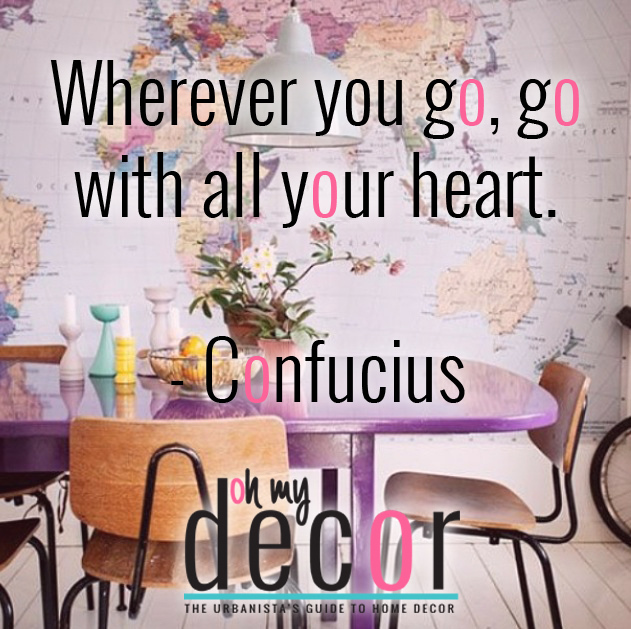 But like Confucius says, wherever you decide to go, go with all your heart. Explore the world and love every little bit of it.